Lord Bingo News Gaming Industry bet365’s Chartbusting Slot Releases! Hot on the heels of bet365 chart-busting slot collection, the site has upped the ante and expanded its hall of gaming fame to include some of the hottest Hollywood-inspired and mesmerizing slot hits around! 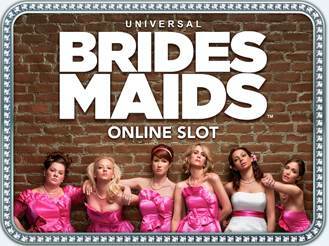 Microgaming has brought the outrageously popular Blockbusting comedy movie hit, Bridesmaids to life with this fresh slot game spin off. Boasting a heavy dose of chick-flick fun, hilarious entertainment value, slick game design and enthralling gaming features, this slot has all the ingredients for an outrageous hit. This 5 x 4 reel, 40 line game is bursting with Stacked Symbols, Wilds and Scatters. Microgaming spices up the fun with the addition of sparkly, sweeping Paylines, to hilarious Character Pop-Ups and 5 of a Kind entertaining videos – to spell even more excitement and phenomenal wins! NextGen Gaming has adapted the iconic 1960s movie classic Psycho into a sensational slot hit, to allow you to experience all the compelling suspense and gripping action for yourself. The 25 line, 5 reel video slot, Universal Pyscho, transports you to an isolated house deep in the ominous, rain-filled countryside near a mysterious hotel with mysterious characters. This gripping slot is fully loaded with incredible graphics and visuals, an emotive soundtrack and thrilling game play. The added extra of Multiplying Wilds up to 40x and variable FREE bonus games make for a gripping gaming hit! Who doesn't love love planning a vacation?! Thankfully the Playtech design team have churned out this 9-Reel 8-line vacation-themed slot to allow you to relive the magic and excitement of travelling all year round! This fun-packed slot allows you to plan your journey with travel-themed symbols, and boasts multiplying coins, Scatters, and smile-inducing features galore! Pack your bags and take a break from the city for a fun-filled camping trip to the country to join the fox and the hound for an adventure under the stars! This 5 reels and 25 pay lines animated slot game comes complete with Fox as the Wild, Scatters, a Bonfire Free Games feature where you can toast marshmallows, Multipliers, Free Spins, and enough fun-packed features to keep you locked at the reels! Leap into action and travel to the Far East to uncover oriental riches with the Fortune Jump slot hit! This Chinese-inspired 5 reel, 40 pay line video slot is a Playtech production, and boasts Bonus Rounds, Instant and Autoplay features, Wilds, Scatters, Chinese-style symbols and awesome dragons! So head over to bet365 Bingo to dive into the action!